Station - WUVT: Radio for Everyone! WUVT-FM is an FCC-licensed non-commercial radio station broadcasting at 6.5 kilowatts to Blacksburg, the Virginia Tech campus and a large surrounding area, including Montgomery County, Christiansburg, Radford, Floyd, Giles, Salem, Pulaski, and Wytheville. All disc jockeys, and most of our staff members, are unpaid volunteers. We are operated by the Educational Media Company at Virginia Tech, and our license is held by Virginia Tech. While the station mostly comprises student members, community involvement is strongly encouraged. Semi-annual community donations and underwriting from local businesses keep WUVT available as a consistent public service to the community. As a non-commercial educational station, we refrain from commercial advertising. WUVT airs public service announcements twice an hour, every hour, for university student organizations and registered nonprofits. 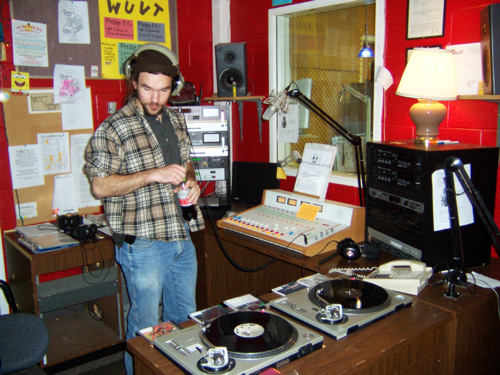 WUVT's mission is to promote education, understanding, and diversity of music while serving the community as an independent, not-for-profit, student-run radio station. Our goal to provide diverse, eclectic, and educational programming makes us a truly unique organization. The vast majority of music played on WUVT cannot be heard anywhere else on your radio dial. WUVT was first organized in September 1947 and went on the air for the first time on April 1, 1948. In August 1951, the studios were destroyed by fire, but WUVT returned to the air in late November of the next year. WUVT-FM came into existence in October of 1969 when it signed on the air as a non-commercial, educational, free-radiating station at 90.7 megahertz. WUVT broadcasts 24 hours a day and serves the community with music, news, sports and public affairs programming. WUVT-AM and WUVT-FM are both operated by the students of Virginia Tech, with studios located in Squires Student Center. WUVT is now operated by the Educational Media Company at Virginia Tech (EMCVT), a 501c3 formed in 1997 to replace the Student Media Board. WUVT has hosted a variety of eclectic programs over the past several decades, including Localzone and Hokieman.